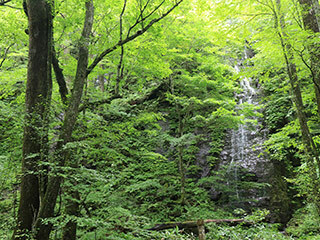 Shimai Falls (姉妹の滝) is one of the waterfalls of Oirase Valley. Shimai means sisters. There are two waterfalls. There is a rental cycling. 0. at Yakiyama Bus Station. 1. use local bus to Choshi ootaki.